Now the sun has made its comeback after a long cold and wet winter, it is time for me to get back on the road to bring you some of the hidden secrets and some not so secret but so beautiful that they can't be missed when you come to visit Provence. Dry stone construction is very commonplace across Europe. 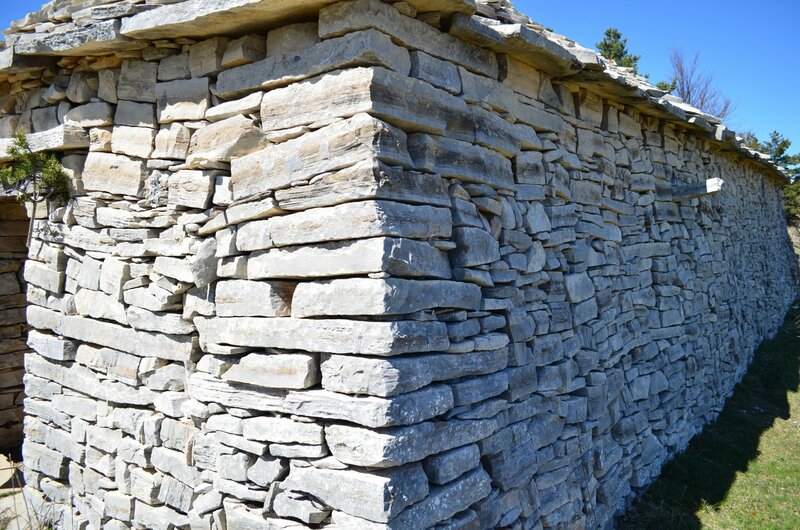 When man had to build a wall or a hut without cement, he soon figured out the way to master dry stone construction techniques. 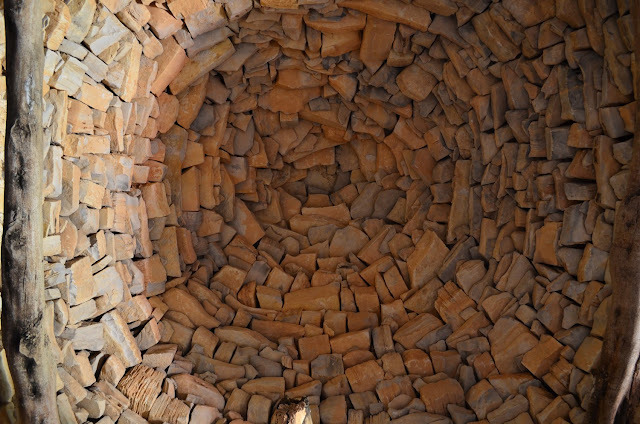 In Provence dry stone construction is everywhere. 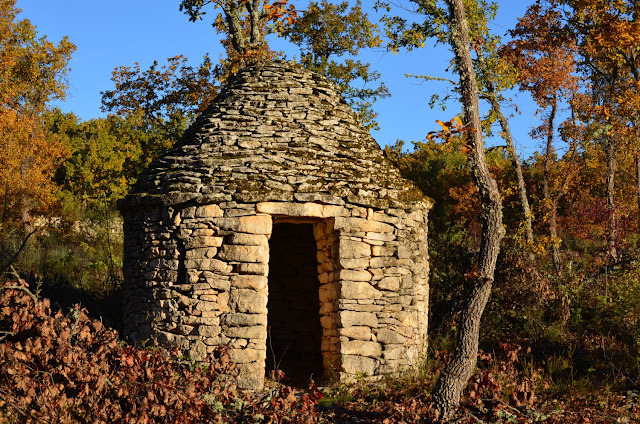 In Gordes you can see the impressive walls as you drive up to the village, there is of course the Village des Bories, the word "Borie" being the name for a dry stone hut, usually round but sometimes square. In La Haute Provence, especially around the villages of Forcalquier and Mane there are "Bories" (which locally they can Cabanons Pointus) scattered around the woods and hills and are often the surprise encounters of an afternoon walk, but as you approach the higher ground of the Montagne de Lure and its surrounding hills then things become serious! 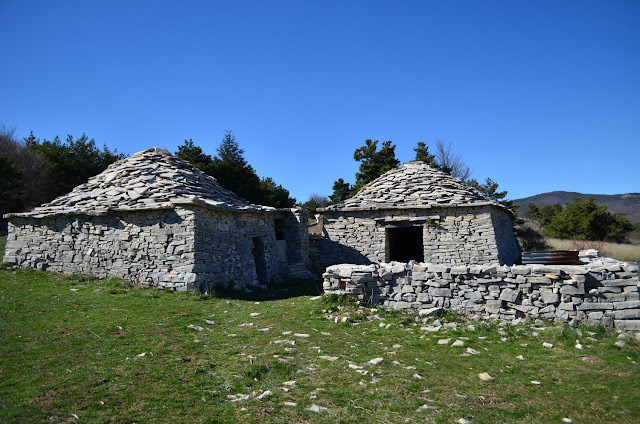 The construction of dry stone huts was at its high point in the 19th century. Shepherds would build them to keep their stores, tools and even a sick sheep, the huts would keep them dry and warm in the winter and keep them cool and give them protection from the powerful sun in the Summer. 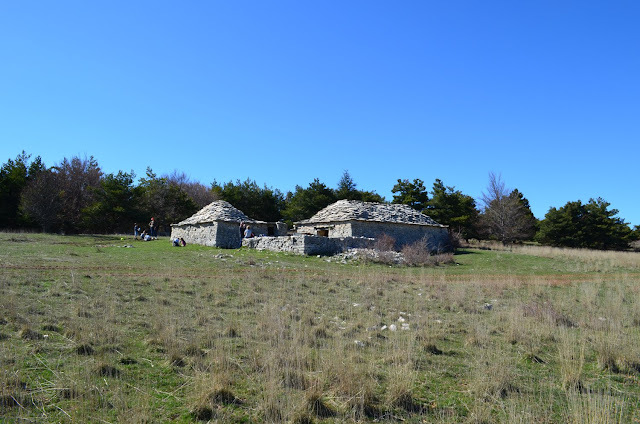 The ones around Forcalquier and Mane didn't need to be too big as they were only really used during the day but as you went further from habitations the huts became barns and marvels of dry stone architecture. On the area around the Montagne de Lure around 130 of these constructions were built. The main construction was either of several Cabanons alongside each other with an arch way between each instead of a solid wall. They were big enough to shelter the flock, alongside was a smaller one for the shepherd, which had a fire place to cook and keep warm. A wall was constructed with one or two entrances to keep the flock in at night and the predators out. No mechanical aides, just blood, sweat and tears and immense pride when the job is done! The photos shown are of the Bergerie de la Gardette near the village of Saumane, scene of my familly picnic yesterday. In the summer Mr Vinatier, the owner brings his flock of 600 sheep up to graze and the Bergerie relives its past. The Bergerie de La Gardette is made up of three cabanons joined together. Here is a shot of the incredible skill required for the ceilings. To the right the main barn, to the left the shepherds quarters and in the middle the protective wall. There many other Bergeries in the area, notably on the Contadour. In association with local hotels and hiking guides we have put together a unique programme with a discovery of the buildings followed by a candlelit supper in side one of the larger ones. This can be followed by a star gazing session with Slim Hamdani the astrophysician.